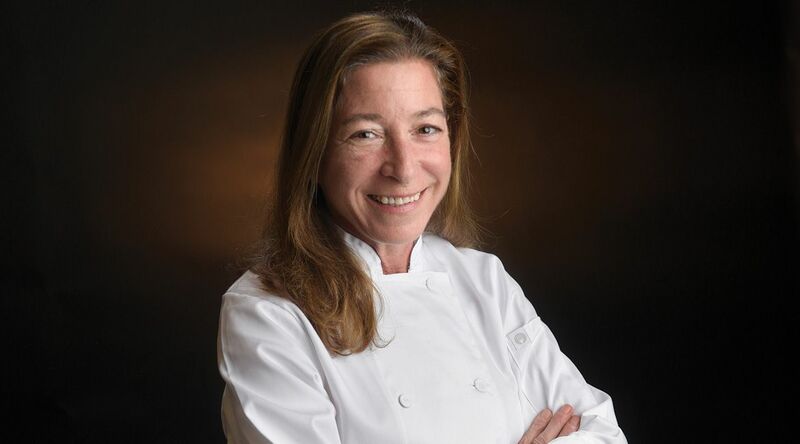 As food service director for the Santa Barbara Unified School District, Nancy Weiss has helped lead the way in removing processed foods from school lunch menus in favor of plant-based, local, and organic options. Her department serves more than 2 million meals to kids each year. From an early age I was a latchkey kid who was left alone to fend for any kind of good food myself. I remember going into the kitchen, opening up cans of asparagus and pureeing it and making a soup. I started developing cooking skills very early on, and a love for it. I had been very fit and healthy until the age of 19, when I was diagnosed with rheumatoid arthritis. It wasn’t until later on that I started eliminating things like meat and dairy from my diet, and realizing that it was really causing a positive effect in my joints and my overall energy. So I was privy early on to the wonders of plants and how they can really offset disease and fight inflammation and other maladies that go with chronic illness. After several years running a successful restaurant in Santa Barbara, you sold the business to care for your aging parents. How did you get involved in school food service? I took a small job cooking for a cafeteria, and started noticing that the quality of the food was pretty much crap. This was in 2000, 2003, and 2004. We were doing pizza in a bag and macaroni and cheese in a big boil and serve pouch, and it was pretty hideous. So when I had the opportunity to apply for director of food service I did, and I got the job. Over the first two to three years that I was the director it was pretty tight financially. I really did let go of all the crap, and we started introducing a lot more health-oriented, whole-food menus and kids kind of rebelled. So I pulled back and altered the menu. I quit the tandoori chicken and the falafel, and I decided to go with vegetarian lasagna and tofu bowls — things that were a little more accessible for kids. Now we offer a meat entrée and a vegan or vegetarian option every day. You’ve figured out a way to use other subsidized programs, like Summer Feeding, to help offset the cost of your healthier lunch options, which often aren’t covered by the National School Lunch Program. That sounds like a win-win. It brings us money in the summer where a lot of school districts just close up. 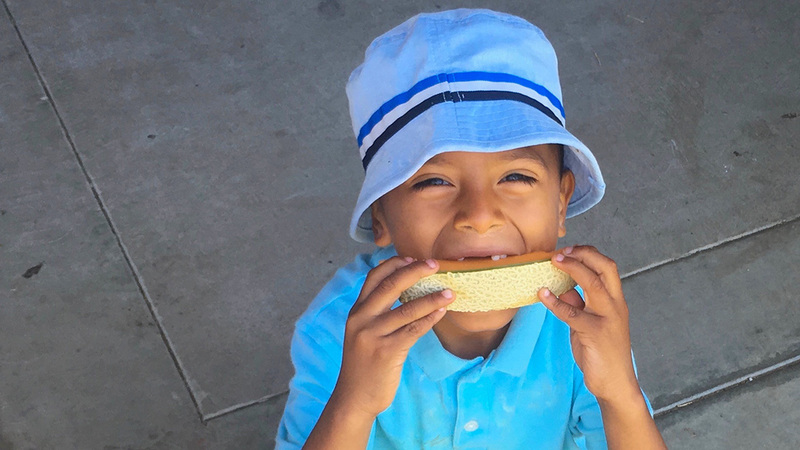 Summer is a huge time for food insecurity and kids go for summers on end without good food. 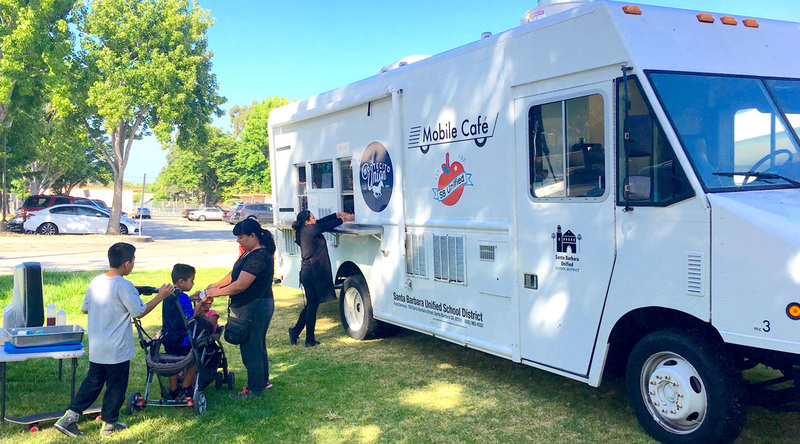 The Mobile Café, our food truck program, has enabled us to go out into the community. So that’s a lot of kids during the summer that we are able to qualify for free meals, and then we get subsidized for every meal we serve. "We decided we weren’t going to use public funds to buy products that we know do harm to kids." We also do another federally subsidized program that allows us to serve any at-risk youth for free, and we’re able to do that for dinner. So where we have low income youth in after school programs, they’re able to now grab a dinner before they go home, and that way parents can spend more time with their children instead of buying fast food or not eating with the family. Subsidized programs like these provide extra revenue flow, and that’s what’s necessary because the federal reimbursement for free school lunch is only three dollars and fifty cents, something like that. We also have a full-service catering department that uses the food trucks to do parties in the park, weddings, and events like Earth Day. It’s a really great opportunity for people to see what we’re doing and then to help support what we’re doing. Other Food Service Directors can check out the USDA’s website on National School Lunch and Child and Adult Care Food programs where all these different meal options are listed and my website for more information. How did you eliminate processed meat from your menus? My work with the Physician’s Committee for Responsible Medicine led me to the understanding that processed deli meat have no place in public school lunch lines or in anybody’s lunch. They’re full of nitrates and carcinogens, and it’s been known that even a half an ounce of processed meat a day can increase a woman’s risk of breast cancer by 50%. So we decided we weren’t going to use public funds to buy products that we know do harm to kids. The kids were like, “what, no pepperoni on the pizza?” But they got over it, and if they want a slice of pizza we’ve got a really good handmade pizza that we do with Hungry Planet sausage. So we do a really nice veggie and sausage pizza, and we do a farmer’s pizza, and we do a three cheese gourmet pizza. What are your thoughts on the role of milk in the National School Lunch Program? How about how it’s mandatory for schools to serve milk and how kids need a doctor’s note to have a non-dairy alternative? There’s nothing nutritional about fat free or 1% milk. Nothing. I am not an advocate of dairy anyway, but now more than ever, when you see that little girls are menstruating when they’re 9 years old, it’s from all the hormones that they’re getting in their milk. And then a lot of districts, what they do is they serve fat free chocolate milk in order to have the kids drink milk. We need to start looking at nut milk and alternate forms of milk. 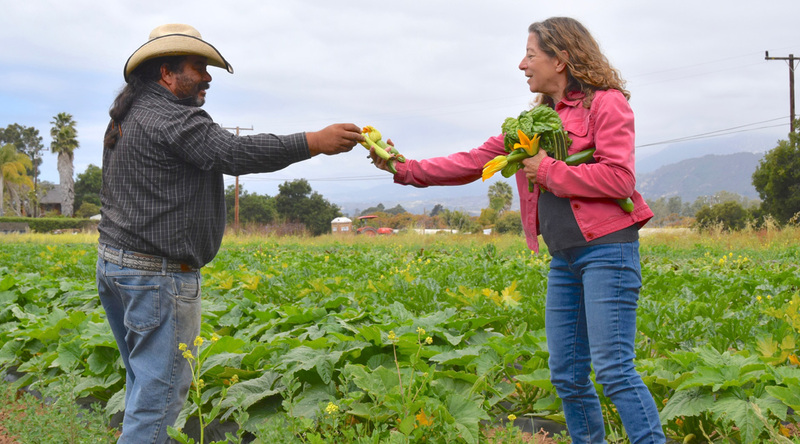 What have you learned about food and eating from your experience feeding kids in school? My professional and personal opinion is that kids’ taste buds have been hijacked by large food organizations. They are targeting kids through chemically engineered food that addict them through salt, sugar, and fat, and chemically engineered spices and other flavorings. Their taste buds are tricked, and it is my responsibility as the director of food service to somehow unravel all of the damage and introduce them to good food from as early as humanly possible, because I really firmly believe the younger they are the more chance we have of turning this thing around. You, too, can be a hero to kids across the country by helping increase access to healthier plant-based foods. Take action — download our School Lunch Toolkit to get started!